We all feel more comfortable and sleep better at night when we know that our ducks are in a row. We feel in control, confident, organized and secure. Where does this expression come from? Before traveling over land or water, mother ducks corral their young into manageable, straight lines. Any stragglers, escapees or hooligans are readily detectable so long as the integrity of this line is maintained. The key premise here — that a clearly defined system of controls, protocols, immediate detection capabilities and swift and decisive response is critical to the efficacy of a compliance management solution — is as applicable to mother ducks and their offspring as it is to IT governance risk and compliance management. In essence, you must recognize that breaches will happen and that you need a contingency plan that addresses all security vulnerabilities. If your GRC software isn’t keeping your row straight, it’s time to corral your governance risk and compliance software protections. It’s not enough to focus on just access governance. It’s about keeping your ducks in line through all aspects of compliance management. The first step is putting the operational processes and tools in place to effectively manage governance risk and compliance. To do this effectively, it’s critical to establish safeguards to address all software security vulnerabilities and to be able to detect and address breaches in real time. 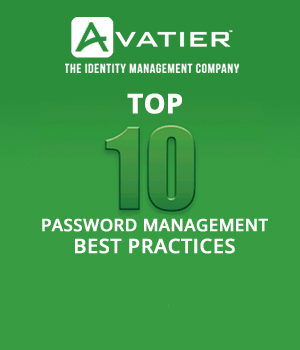 This includes access governance, risk management and password protection protocols. If your GRC software doesn’t offer a comprehensive suite containing all of these security protections, it’s not working hard enough for you. 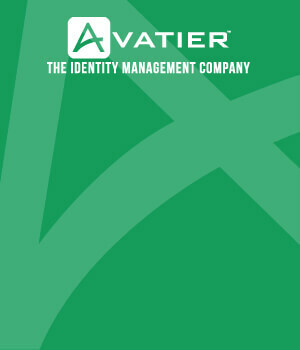 Much like when Identity Enforcer shifted the operational paradigm around user provisioning, Avatier’s Compliance Auditor™ is redefining effective access certifications for governance risk and compliance management. By incorporating provisioning, governance, risk management and password protection protocols into a single integrated suite, Avatier addresses all aspects of identity and access management. For a security system to be effective and useful it must operate holistically, much like a mother duck. The system needs to proactively think ahead, anticipating problems before they happen. And when problems do arise, the system must immediately detect them, automatically activate notification protocols, and provide the capability to rectify the problem swiftly and decisively. IT compliance management falls down when the approach to establishing and executing security protocols is piecemealed, cobbled together or incomplete. If your security tools don’t talk to each other and to you in real-time, you’re setting yourself up for trouble. You can count on breaches, but can you count on your security system to detect them, notify you, and provide you with the opportunity to fix the problem before it becomes a full-scale disaster? If you’re not sure you’re fully protected, most likely you’re not. Don’t be the mother duck that falls down on the job. Keep your ducklings in line with a rock-solid security plan that provides you comprehensive coverage and the ability to halt breaches in their tracks. You’ll be more efficient, more effective and — best of all — you’ll sleep better at night knowing your governance risk and compliance software audit controls are in place.